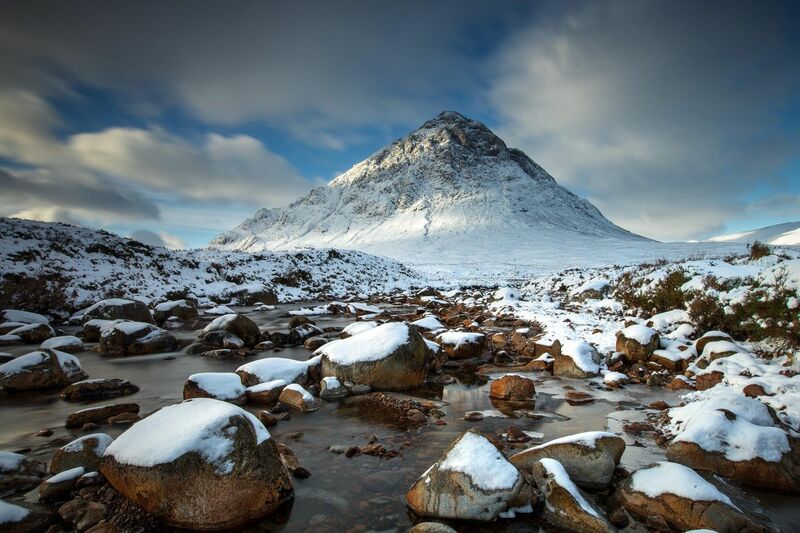 Buachaille Etive Mor is one of the best known and loved of all the Munros. This epic view of Buachaille Etive Mor and a frozen River Coupall has got to be up there as one of the best views of not only Glencoe but for the whole of Scotland as well. This is one of my most favourite locations throughout the whole of Scotland.